The current flag of Tuvalu was instated when the country became independent in 1978, after the separation from the Gilbert Islands in 1976. 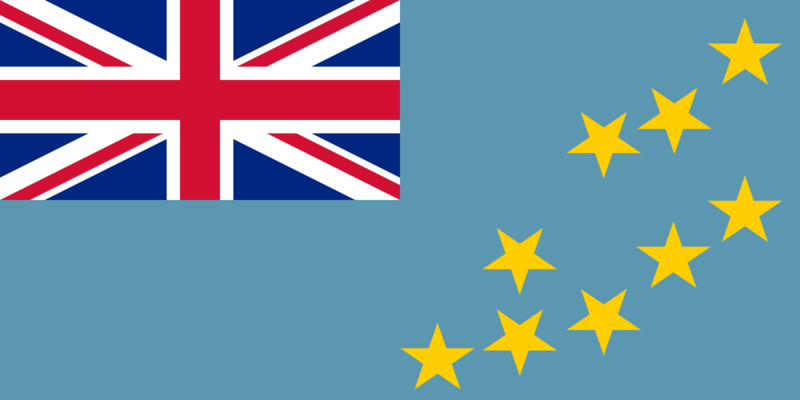 The Tuvaluan flag is a blue ensign based on the Union Flag, which is shown in the upper left canton of the flag; but has a sky blue field rather than the conventional blue. The previous flag (with the Gilberts) was also based on the Union Flag but with the coat of arms created by Sir Arthur Grimble in 1932, the resident commissioner of the British colony. The stars represent the nine islands which comprise Tuvalu; the arrangement is geographically correct, with the east towards the top (i.e. north to the left).